This hip-length cardigan is a fairly simple knit that will prove eminently versatile and wearable. The garment features subtle waist shaping and eyelet lace rib framed by 1×1 trim. 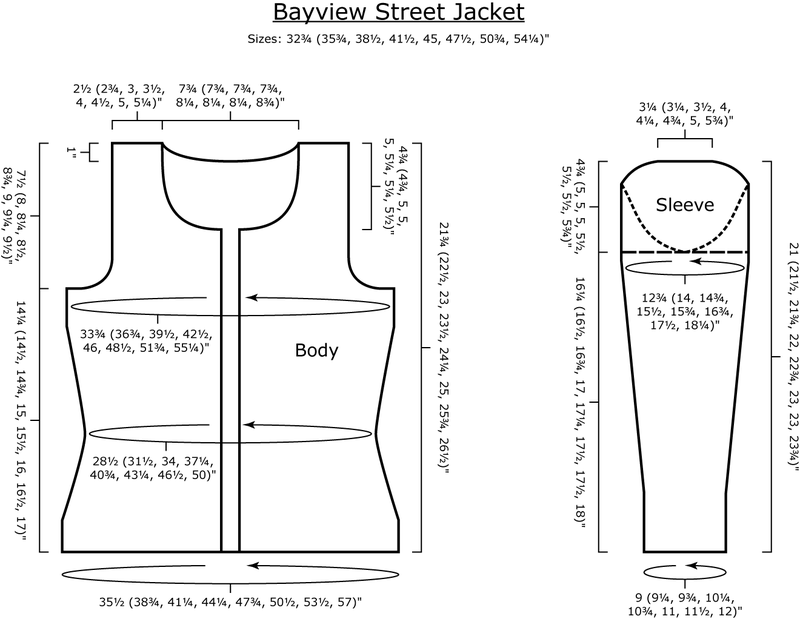 The body is worked as one piece to the armholes, then the back and fronts are treated separately. The sleeves are knitted in the round to the armholes, then worked back and forth. The shoulders are joined using three-needle bind-off, and stitches are picked up for the neckband and button/buttonhole bands. The only seaming required is sewing the sleeve caps into the armholes. Modeling and photos by the talented Ingrid Deon. 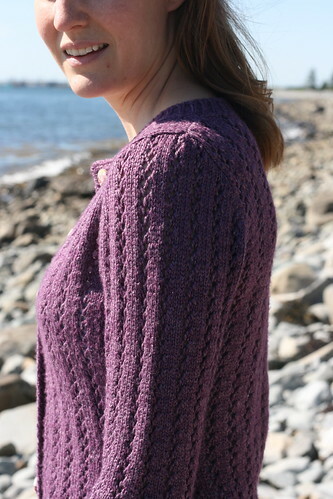 The pattern is available as a Ravelry download for $6.50. Reading a chart, tubular cast-on, knitting in the round, increasing, decreasing, three-needle bind-off, grafting together stitches, picking up stitches, tubular bind-off, sewing in sleeve caps, sewing on buttons. Model shown in size 35.75″. Frog Tree Meriboo [70% merino, 30% bamboo; 105 yd (96 m); 50 g skein]; color: #501, 8 (9, 10, 10, 11, 12, 13, 14) skeins.